At Confidents you can be sure to get the correct fit and maximum comfort for your smile. With our new facilities and still one of the most talented clinical dental technicians in the region, you can be sure we’ll offer a far better service than you’d ever expect. Confidents Denture Clinic offers a comprehensive range of denture solutions ensuring you have the correct fit and maximum comfort for your smile. We at confidents denture clinic have undergone an exciting transformation to offer our customers a clean, calm and relaxing waiting room. Together with our latest state of the art surgery and leading technical lab. We are confident we can not only provide you with exactly what you want, but we can do so in a way you’ve not experienced before. Confidents denture clinic aims to be Birmingham’s first choice for denture repairs, denture fittings, denture replacements & everything in-between. With our new facilities and still one of the most talented clinical dental technicians in the region, you can be sure we’ll offer a far better service than you ever expect. Whether you’re after partial or complete dentures, look no further. We take great pride in our work, giving you natural-looking teeth and dentures that fit perfectly. There’s no need to let the loss of teeth have a negative impact on your life. Confidents Denture Clinic is the perfect denture solution. Did you know, if you are orally fit. You can select a denture clinic of your choice. So why go anywhere else other than the leading practice in denture Birmingham. Our moulds fit perfectly, our surgery facilities the latest and our clinical dental technician is industry leading. We understand that you probably don’t want to be without your dentures for long. If you need them fixed in a hurry then have no fear. We return dentures as good as new within the hour. If you’re in Birmingham then you can drop them off, pop out and do some shopping, then pick them up an hour later. Each denture we fit has been specifically made to ensure a perfect, secure fit. Confidents denture repairs offer a fantastic low-cost repair service to keep you smiling. If your dentures are fractured or they have chipped or missing teeth then don’t worry. Confidents Denture Clinic has 35 years’ experience when it comes to denture repair, so you can be sure that your teeth will be sparkling again before long. 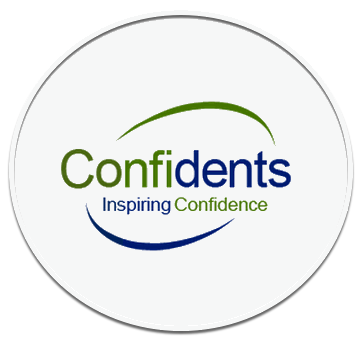 At Confidents Denture clinic we offer a complete Dental Implant Service, which includes Denture Fitting, Denture Repairs, Denture Stabilisation, Dental Implants and Denture Replacements. At Confidents Denture clinic we offer a complete Denture Stabilisation Service, which covers all aspects of Denture Fitting, Denture Repairs, DentalImplants and if required Denture Replacements.